Mission: Impossible Blu-ray Collection giveaway! Mission: Impossible -Rogue Nation is now available for digital download, Blu-ray/DVD, and TechnoBuffalo and Paramount Pictures are teaming up to help you enjoy it just a bit more! 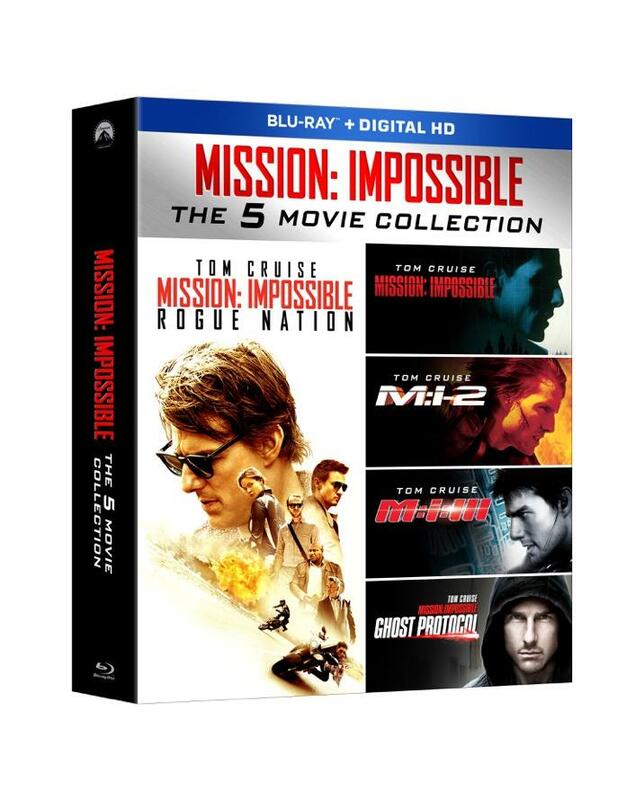 Two lucky winners will receive the new Mission: Impossible 5 movie collection, yes, all the Mission: Impossible movies to add to your movie collection. 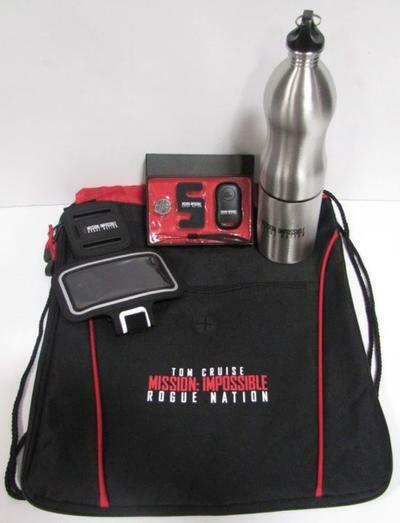 In addition one of those lucky winners will also receive a Mission: Impossible gift bag (water bottle, armband, and selfie remote) from Paramount Pictures. To enter, all you need to do is sign in with your credentials in the box below and complete as few or as many of the tasks you choose. Each one will reward you with additional entries in the contest! In other words, the more actions you complete, the better your chances are of winning! And don’t forget to come back everyday to send out a tweet or click on the daily bonus entries! Mission: Impossible Blu-ray collection and Prize Pack (pictured below). One (1) winner will receive one (1) Mission: Impossible Blu-ray collection (5-movie set) along with one (1) gift bag. One (1) winner will receive one (1)Mission: Impossible Blu-ray collection (5-movie set). HOLLYWOOD, Calif. – Hailed as “relentlessly thrilling” (Chris Nashawaty, Entertainment Weekly) and filled with “jaw-dropping stunts” (Scott Mendelson, Forbes), the global hit MISSION: IMPOSSIBLE—ROGUE NATION takes off on Blu-ray Combo Pack, DVD and On Demand December 15, 2015 from Paramount Home Media Distribution. The critically acclaimed action-thriller will also be available as part of the Mission: Impossible 5-movie Blu-ray collection, the perfect gift for the holiday season. The film arrives four weeks early on Digital HD November 17. Alec Baldwin and newcomer Rebecca Ferguson in a “star-turning role” (Brian Viner, Daily Mail) as a mysterious double agent.